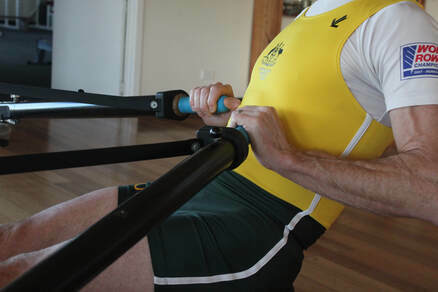 It is important when sculling that the hands and elbows are in the correct position at the finish otherwise the posture of the athlete will be compromised. Here we show the correct position, and some common problems, from the side view. Viewing an athlete from the side is a great way to see issues with this part of the stroke. Please look at the examples below and review your own positions or that of your crew. Anthony Edwards, 5 times Olympic athlete, demonstrates common issues. A better finish sets the athlete and the boat up giving better recovery, balance and boat run, essential for performance and boat speed. Here Eddy demonstrates the correct hand and elbow position. 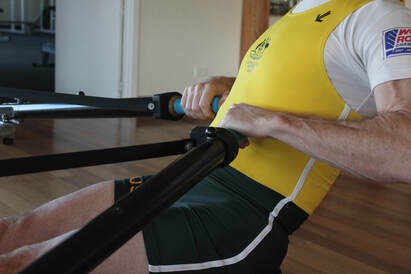 Please note the flat wrists, the upright pelvis, the straight back and the forearm angle in relation to the oar. 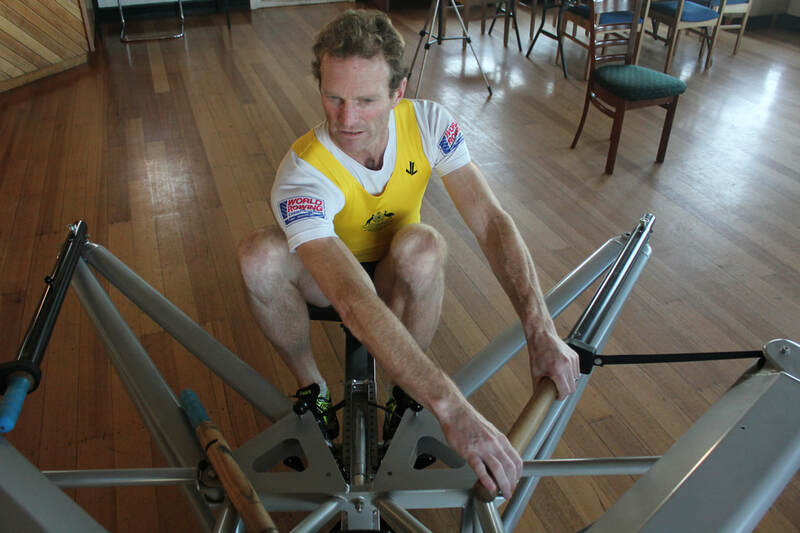 In this case Eddy demonstrates the wrist dropping at the finish as the feathering of the oar occurs. This can result in tendon issues in the wrist and will encourage the athlete to slump at the finish with the shoulder following the wrist down. It is important that the handle grip size suits the athlete otherwise feathering correctly will be difficult. We also suggest that athletes practice the correct feather at home. 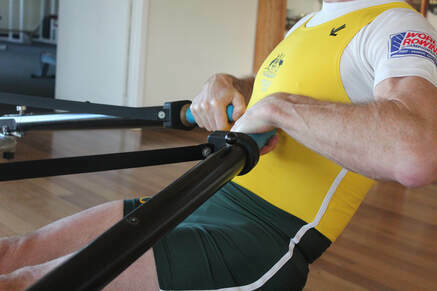 Here Eddy demonstrates the athlete gripping the oar too tightly and with an inefficient draw-through. 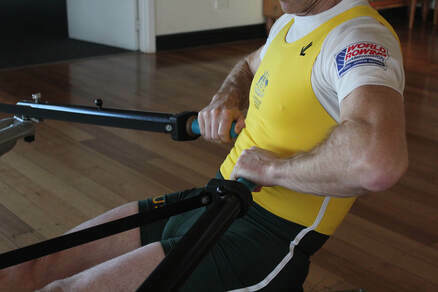 It is much better for the athlete to have a relaxed grip on the oar handle. Keeping the wrists horizontal will make for a more powerful finish. Also in this example the shoulders and elbows are a little higher than needed. We suggest encourage the athlete to have a relaxed grip for a better finish. As you can see here, with this position at the finish, Eddy is in a weak position as his elbows are too high. Having the elbows lower will not only make the finish more powerful but will make feathering easier. Please review the above videos for more information.